- Has related working experience in the field applied with similar capacity. - Ability to work as a team member and liaise with people at all levels. Please refer the advertisement. Thank You. 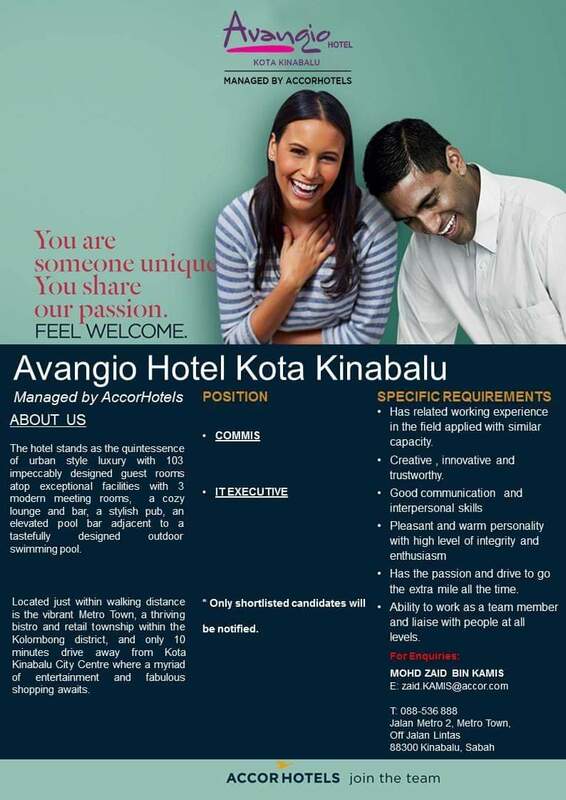 0 Response to "Kerja Kosong Sabah 2018 | Commis , IT Executive - Avangio Hotel"